Four classic Namco arcade games are headed for modern platforms next week. Fans of classic arcade games will be happy to hear that Pac-Man, Ms. Pac-Man, Galaga, and Dig Dug are being re-released next week. The titles will be available on PC, PSN, and Xbox Live on April 20. In an official statement, Bandai Namco said that "Each arcade-classic release will feature HD resolution and have support for leaderboards as well as trophies/achievements." If you're worried that they'll change something that you love about those old games, you can probably rest easy. 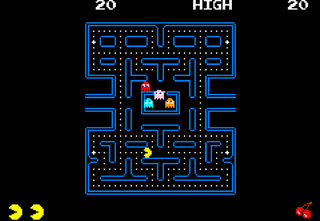 The 256 bug is still in Pac-Man, and you'll be able to choose between both versions of Galaga. The new and old versions of Dig Dug will also be included. You will also be able to grab a 3-in-1 package that includes Pac-Man, Galaga, and Dig Dug at a discounted price. I got really into Pac-Man Championship Edition DX+, maybe it's time to go back to the classic. And I remember trying to crack the high score on Galaga at an RV camp, never did it but fell in love with the game. When you say new and old versions, are you talking about the Arrangement versions from Namco Museum, or is there a different "new" version I've been unaware of?